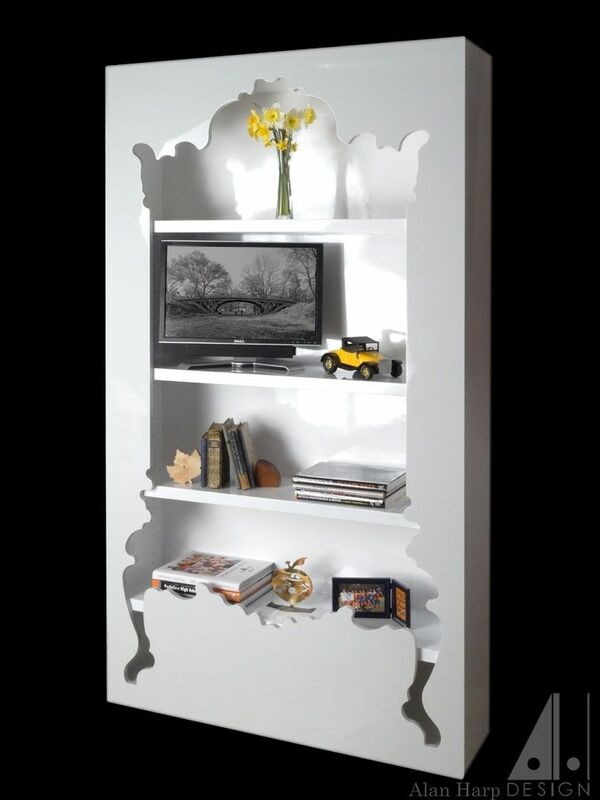 Crafted of hardwood plywood, the 83" tall x 46" wide bookcase features a high gloss urethane finish throughout. A subtle grey on the exterior and arctic white on the interior. With four adjustable shelves, the inside-out bookcase can accommodate a variety of display items. Designed to coordinate with the client's colors and modern themed rooms, this piece can be custom made to any size and color combination that a new client desires.